From golf courses to plenty of shopping options, there are plenty of things to do in Chandler, AZ. The Harkins Theater and Bear Creek are just a few of the places to visit, and with the nice Chandler, AZ weather conditions, you can find fun indoor and outdoor activities all year round. Whether you’re simply visiting from Phoenix or you live out of state, here’s just a sampling of activities to enjoy in Chandler before ending the day at a Phoenix brewery. When the weather is too hot, too cold, or just not the best, spend the day inside taking in the great movie at the Harkins Theater at Chandler Crossroads. Not only do they offer the latest movies, but they also show a classic movie every Tuesday night. And when you’re there, don’t forget to go home with the Harkins Big Party popcorn bag or upgrade your snack with some cheddar or caramel corn. Golfing is a great way to spend a nice day, and Bear Creek Golf Course is not only challenging but also provides you with pleasant scenery along the way too. Plus, Bear Creek was designed with expert-level golfers in mind as well as those who are just starting, so everyone regardless of skill level can come along for the day. When outdoor adventures are desired, Desert Breeze Park is equipped with everything you could want. Take a day trip in from Gilbert and enjoy the tennis courts or baseball fields for a day of sports. There are also plenty of open fields for things like soccer and frisbee, and covered pavilions provide a great spot for a picnic. The Desert Breeze Lake is also available for your favorite water sports. Sometimes a nice horseback riding adventure can bring you back to nature, and Koli Equestrian Center offers many experiences for you to enjoy. Whether looking for a family-friendly activity or if you are planning something different for a date, be sure to explore the variety of events and opportunities available. Take in the Wild West at the Rawhide Western Tower and Steakhouse. Complete with a shooting gallery and authentic scenery, this establishment will entertain you as well as provide you with mouth-watering food options that will leave you wanting more. In order to truly experience the fun things to do in Chandler, AZ, you may need a new ride. 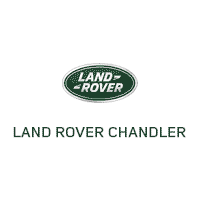 Land Rover Chandler has a nice inventory to explore, so contact us today to upgrade your Tempe ride to a high-tech Land Rover Discovery Sport or another model. When you’ve fully enjoyed these activities, check out our recommendations for road trips out of Chandler, AZ as well as Chandler restaurant options! Or if you need a caffeine boost, stop by one of our favorite coffee shops in Phoenix.